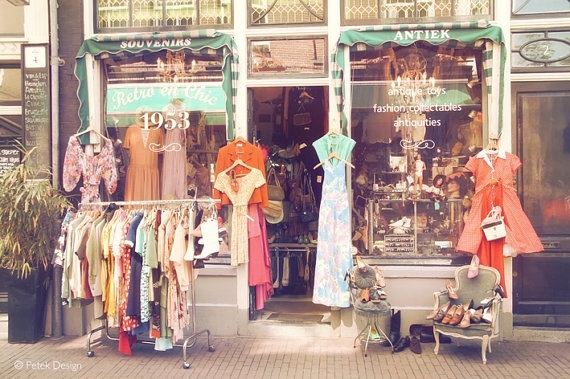 As I know a few friends who find vintage shopping a little daunting I thought I would compile a quick list of tips to help you make the right choices. Firstly and very simply just be open minded, have fun and try on everything. Often even the gaudiest of pieces can surprise you and if nothing else it makes for a hysterical Snapchat to your friends. Be sure to check for any damage or stains, it’s unlikely these would be noted on a label so it’s your job to make sure the garment is in good condition. The worst is to get something home and realise it’s marked and unfixable as most vintage shops won’t offer a refund. Don’t be disheartened if you don’t find anything, often it’s just a matter of luck but it’s worth a few trips to find something you’ll treasure forever. Imagination is key! If you see potential in a garment you should get it, making alterations is easy and it means you have something completely unique. There are hundreds of tutorials online to help with sewing and customising clothes and often you only need to make small changes to bring it up to date. Even just taking out some of those killer 80s shoulder pads can make all the difference. Don’t be fooled by a number, sizes have changed over the years so disregard the labels and try everything on before you buy. Sometimes over-sized works but mostly it’s a great fit that makes something look expensive. Vintage has become so popular there’s a tendency for things to be overpriced but you have to be clever with your choices and don’t give into the hype. Check the fabric content and the brand on the label to avoid being scammed and you can always do a quick Google search on your phone if you need to verify something. OMG! What camera do you use? You have really nice pictures.